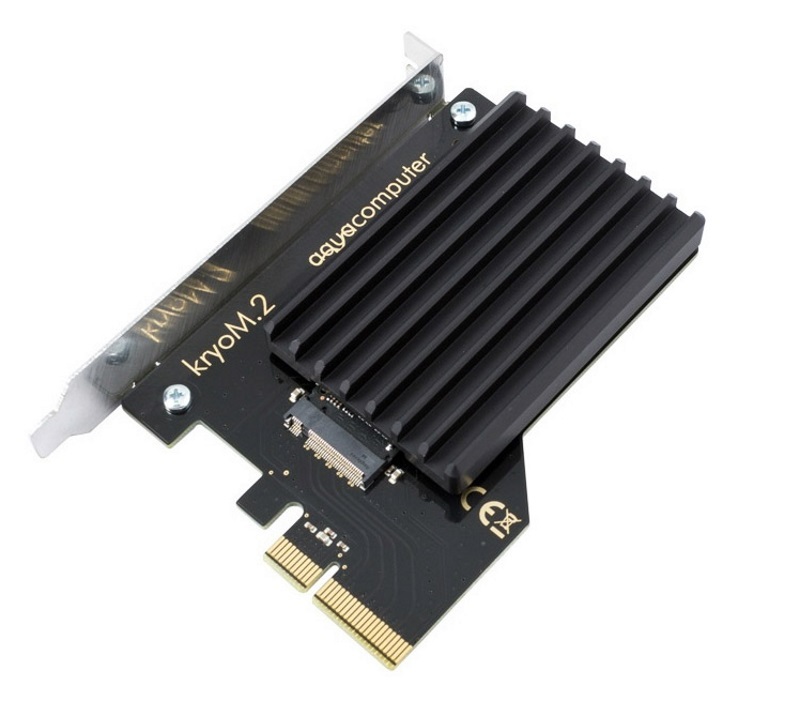 The kryoM.2 is a PCIe 4x adapter for M.2/M-Key NGFF PCIe SSD and is compatible with the form factors 2280, 2260 and 2242. 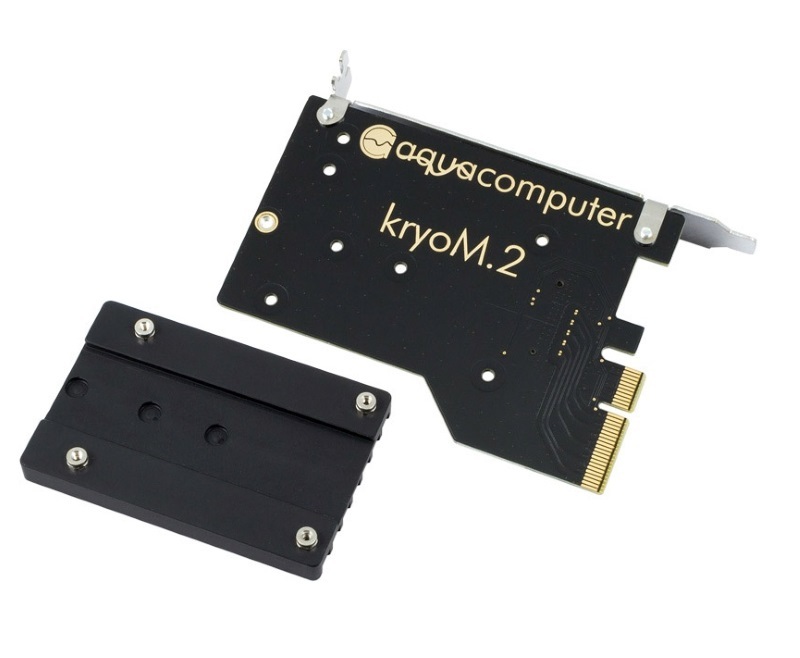 The adapter uses a multilayer PCB with gold surface where the individual layers are connected to each other to optimize the thermal management. 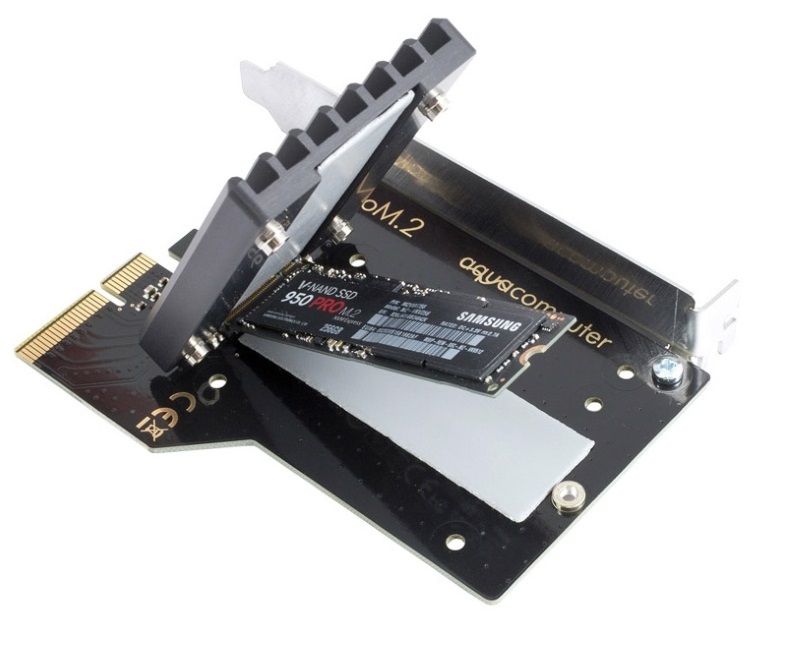 The SSD is installed with a thermal pad which already allows a better cooling over regular adapters. 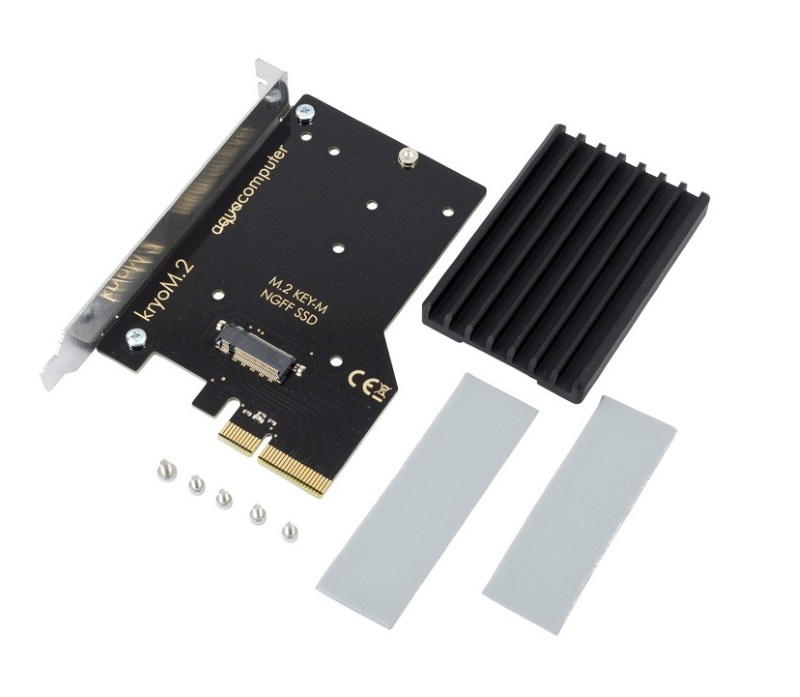 The passive heat sink covers the front side of the SSD with a second thermal pad and ensures maximum performance of high speed SSDs. 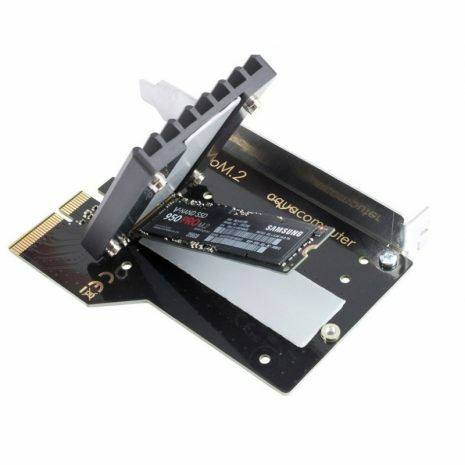 To ensure a good quality and reliability the connector for the M.2 SSD comes from Amphenol, the PCIe contacts are plated with hard gold and the circuit paths are impedance controlled.